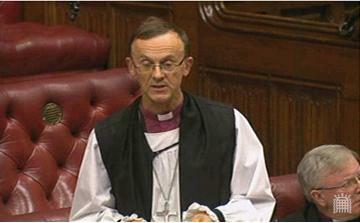 On 24th October 2013, the Bishop of Ripon and Leeds, the Rt Revd John Packer, took part in a short debate led by Baroness Afshar to ask Her Majesty’s Government, in the light of the recent elections in Iran, what steps they are taking to facilitate closer commercial and educational ties with that country. The Bishop asked what the Government considered a normalisation of relations between Iran and the UK to look like. He also raised concerns about human rights abuses in Iran and the importance of the respect of religious freedom and noted the need for strengthening of relations between UK and Iranian Churches. The Lord Bishop of Ripon and Leeds: My Lords, I am very grateful to the noble Baroness, Lady Afshar, for initiating this debate and for introducing it so comprehensively. I am aware, through contacts, of Iranian students in Leeds and of some of the difficulties of which noble Lords have been speaking in terms of their education and the way that that has developed, and of the struggle to keep them at Leeds University. On 24th October 2013, the Bishop of Ripon and Leeds, the Rt Revd John Packer asked Her Majesty’s Government on what evidence they consider the Democratic Republic of the Congo to be a safe country to which to return asylum seekers. The Lord Bishop of Ripon and Leeds: Despite my unelected nature, I beg leave to ask the Question standing in my name on the Order Paper. The Parliamentary Under-Secretary of State, Home Office (Lord Taylor of Holbeach) (Con): My Lords, we observe our obligations under the refugee convention and the European Convention on Human Rights. Every asylum application is considered on its individual merits in the light of country information from a range of sources, including fellow European and asylum-intake countries. Returns are made only if it is safe to do so, and the courts have supported our position. The Lord Bishop of Ripon and Leeds: I am very grateful to the Minister for that response. Following the Unsafe Return report of November 2011 and continued documented reports of ill treatment of those who return to the Democratic Republic of the Congo in the Unsafe Return 2 report of this month, will the Government use the evidence provided to challenge the DRC authorities and to set up a monitoring mechanism for those returned so that there is a minimal safety measure for them in this very dangerous country? Lord Taylor of Holbeach: My Lords, the Home Office works very closely with FCO staff here in London and with embassy officials in Kinshasa. The embassy staff participated in the DRC fact-finding mission and stated that they were not aware of substantial evidence of any returnee being ill treated. However, I assure the right reverend Prelate that the Home Offices investigates specific allegations of mistreatment on return. On 24th October 2013, the Bishop of Derby, the Rt Revd Alastair Redfern, received an answer to a written question on the development of credit unions. The Lord Bishop of Derby: To ask Her Majesty’s Government what steps they are taking to support credit unions as viable alternatives to payday lenders and other providers of high cost credit. The Parliamentary Under-Secretary of State, Department for Work and Pensions (Lord Freud): While the majority of credit unions are not providing direct competition to payday lenders, credit unions are increasingly helping members who have become trapped with payday loans, offering them a way to consolidate and escape from the high interest rates, spreading out their debts over a longer, more affordable period. Government has committed investment of up to £38 million in credit unions — to increase access to affordable credit for at least 1 million more people and save consumers up to £1 billion in loan repayments by March 2019. We are also changing the maximum interest rate credit unions can charge per calendar month from 2% to 3%, coming into force on 1st April 2014. This will enable credit unions to break even on their smaller, most expensive to issue loans, and to become more stable over the long term. This will give low income consumers greater access to reliable, affordable credit, without having to resort to more expensive means, such as home credit or payday lenders. On 24th October 2013, the Bishop of Worcester, the Rt Revd John Inge, received answers to three written questions regarding Israeli settlement-based entities, activities and products. The Lord Bishop of Worcester: To ask Her Majesty’s Government what steps they intend to take to implement the new European Commission guidelines of July 2013 on the funding of Israeli settlement-based entities and activities. The Senior Minister of State, Department for Communities and Local Government & Foreign and Commonwealth Office (Baroness Warsi) (Con): The EU guidelines on the eligibility of Israeli entities and their activities in the territories occupied by Israel since June 1967 for grants, prizes and financial instruments, were prepared to implement the commitment made by EU Foreign Ministers in December 2012 to make a distinction in relevant EU programmes and agreements between the State of Israel and Israeli settlements in the Occupied Territories. The guidelines themselves apply to EU, rather than individual Member State programmes, and will be implemented by the European Commission. The guidelines are due to be implemented in January 2014. On 23rd October 2013, Baroness Jenkin of Kennington led a short debate in the House of Lords to ask Her Majesty’s Government what assessment they have made of the United Nations High-level Panel report into the successor agenda to the Millennium Development Goals. 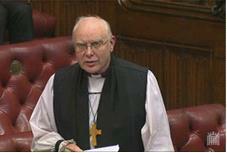 The Bishop of Ripon and Leeds, the Rt Revd John Packer, spoke during the debate, calling on the Government to support a post-2015 agenda focused on tackling inequality as well as extreme poverty. 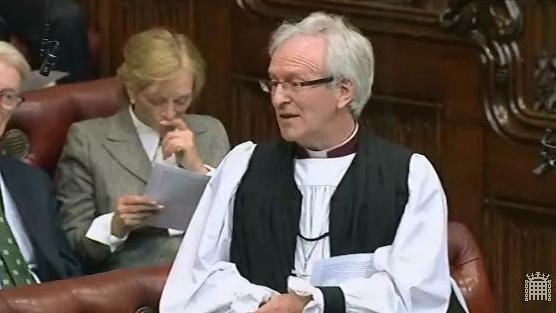 On 23rd October 2013, the Bishop of Birmingham, the Rt Revd David Urquhart, spoke during the Committee Stage of the Financial Services (Banking Reform) Bill. He spoke in support of an amendment tabled by Lord Turnbull, to require that banks and other financial institutions abide by a ‘remuneration code’, implemented and enforced by the financial regulator. The amendment, based on a recommendation by the Parliamentary Commission on Banking Standards, was not pressed to a vote during Committee Stage. The Lord Bishop of Birmingham: My Lords, I rise to speak on behalf of the most reverend Primate the Archbishop of Canterbury. He regrets very much that he cannot be in his seat today, but it is seldom that one has the opportunity to offer Christian baptism to a young couple, particularly when their child is a future heir to the throne of this country. None the less, I know that he, like me, would want to echo the support for these amendments, which have been spoken to by the noble Lords, Lord Turnbull and Lord Eatwell. In a sense, I now regret that I am here doing my duty, because I could not have put it better myself. 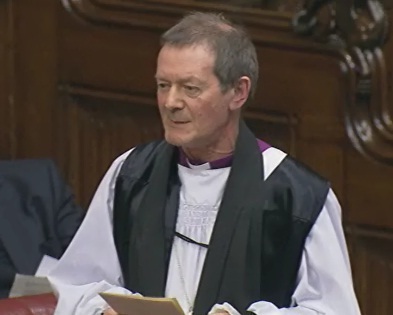 The Lord Bishop of Ripon and Leeds: My Lords, bearing in mind the way in which wealthy pensioners, such as many in this House, are protected against the austerity cuts that other welfare recipients face, will the Government consider how to enable us to begin to bear our share of the burden, whether by taxing or means-testing the winter fuel allowance or otherwise? Lord Newby: My Lords, one of the commission’s recommendations was that intergenerational equity could be improved if pensioners paid a higher share. That has not been the view that the Government have taken. Particularly given the very high levels of pensioner poverty, against which many noble Lords have campaigned over many years, we have taken the view that the real value of pensions should be protected during this period of fiscal consolidation. However, we accept that there may be more to be done. Indeed, for people who receive payments such as the winter fuel allowance, there are now a number of voluntary schemes under which they can make that payment available via charities so that it can be used for people on low incomes.